The Bulgarian exports to Canada have grown 15% under the EU-Canada Comprehensive and Economic Trade Agreement (CETA), says Mr. Brad Niblock, senior trade commissioner at the Embassy of Canada to Romania, Bulgaria and the Republic of Moldova. According to Mr. Niblock the treaty does not reduce the stringent health and safety regulations concerning all imported agricultural and food products. 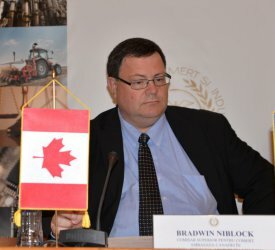 Mr. Niblock, CETA has been partially implemented since 21 September 2017. What has been the impact of the agreement on the trade relations between Bulgaria and Canada for the last year? I would like to make a small correction: CETA has been provisionally (not partially) implemented since 21 September 2017, which means that more than 99% of CETA’s regulations, with very few exceptions, are currently in force. One of the most important benefits is the elimination of tariffs on 98% of all goods traded between Canada and the EU, including Bulgaria, which has led to an increase of more than 15% in Bulgarian exports to Canada in the one year since the implementation of CETA. This is a very positive trend. CETA also creates new opportunities for Bulgarian farmers and agricultural food producers; opens up the Canadian services market to Bulgarian companies; enables Bulgarian firms to bid for more public contracts in Canada; protects Bulgaria’s research and creativity; makes it easier for Bulgarian professionals to work in Canada; encourages more investment between Bulgaria and Canada; and helps Bulgaria’s small businesses export more to Canada. Is there any growth in the Bulgarian export for Canada in 2018? What are the main Bulgarian goods and services that are most attractive to Canadian market? 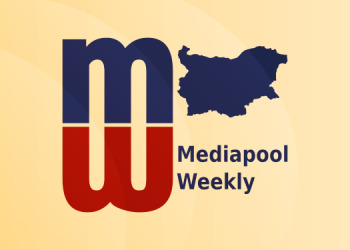 How could Bulgaria enhance its export to Canada? As previously mentioned, and according to the latest statistics Bulgarian exports to Canada have increased by 15% in the one year since the implementation of CETA. In the same period, EU exports to Canada have grown by12.7%, while the combined Canada-EU bilateral trade has increased by almost 10%. So, overall, this is a very encouraging trend. Prior to CETA, Bulgaria was already exporting a great deal of machinery and electrical equipment to Canada, as well as optical instruments and medical instruments, chemicals, pharmaceuticals and agri-food products such as cakes, biscuits and cheese. With CETA, we are continuing to see Bulgarian exports of all these products benefiting from the elimination of tariffs and experiencing a new momentum. Similarly, Bulgaria’s main services export to Canada is in telecommunication services, an area which is also seeing an increase under CETA. There was criticism in the past that CETA would bring certain problems as downgrading of EU GMO standards, more GM food in Bulgaria, more hormones and antibiotics in Canadian meat imports, worse conditions for Bulgarian farmers. What is the real situation a year later? Under CETA, all imported agricultural and food products continues to meet the stringent health and safety regulations set by the EU and/or Canada. Both Bulgaria and Canada will maintain high standards for food safety and animal and plant health and CETA does not require Bulgaria or Canada to lower these standards. As per the existing WTO framework, all EU members states and Canada each have the right to take measures they deem necessary to protect food safety and animal and plant health, provided these measures are based on science, are no more trade restrictive than necessary, and are non-discriminatory. CETA introduces no new obligations that would limit the ability of any EU member state, including Bulgaria, or Canada to maintain or change its existing regulatory framework for GMOs or antibiotics. Under CETA, corporations can in no way dictate the manner in which governments decide to regulate GMOs, either through investment dispute-settlement mechanism or otherwise. Is Bulgaria attractive for Canadian investors? What are the main obstacles that they encounter? What are the strong points that Bulgaria has to offer? Canadian companies see Bulgaria as having an inviting business environment. This is, I think, demonstrated by the number of Canadian companies of all sizes with important levels of investment in Bulgaria, doing business across a wide range of sectors, including: ITC (Adastra, Paysafe, Telus International), automotive (Linamar and Magna International),oil and gas (Black Sea Oil and Gas), pharmaceuticals (Valeant), mining (Black Sea Copper and Gold, Dundee Mining, Mundoro International) and manufacturing (IplayCo). Of course, I would encourage Bulgarian officials to better promote opportunities in your country and take the appropriate measures to attract more investment. Such measures include: greater predictability in regulatory and taxation regimes, stronger coordination between government and the business and more transparency in the relationship between government, its institutions and companies, both foreign and domestic. What has been the impact of CETA (and the easing of the visa regime in 2017 for Bulgarian and Romanian citizens) on migration, in particular – on labour migration, between Bulgaria and Canada? The lifting of the visa requirement for Bulgarian citizens in December 2017 greatly facilitated the movement of business and other travelers between Bulgaria and Canada. Those planning to undertake employment in Canada still require work permits although CETA helps to improve the mobility of EU professionals and other service suppliers through provision for the establishment for mutual recognition of professional credentials. The treaty is designed in such a manner as to make it easier for EU professionals to access the Canadian labour market, opening a whole new market for service providers in a wide variety of professions, including architecture, engineering, IT and financial services, amongst others. Is EU business interested in the recent marijuana legalization for entertainment in Canada? What is the future of this business? This is a brand new sector of business activity in Canada which has attracted a great deal of interest and investment. To date, I am not aware of any Bulgarian investment in this area but would encourage interested companies to research opportunities in this fast-growing sector.